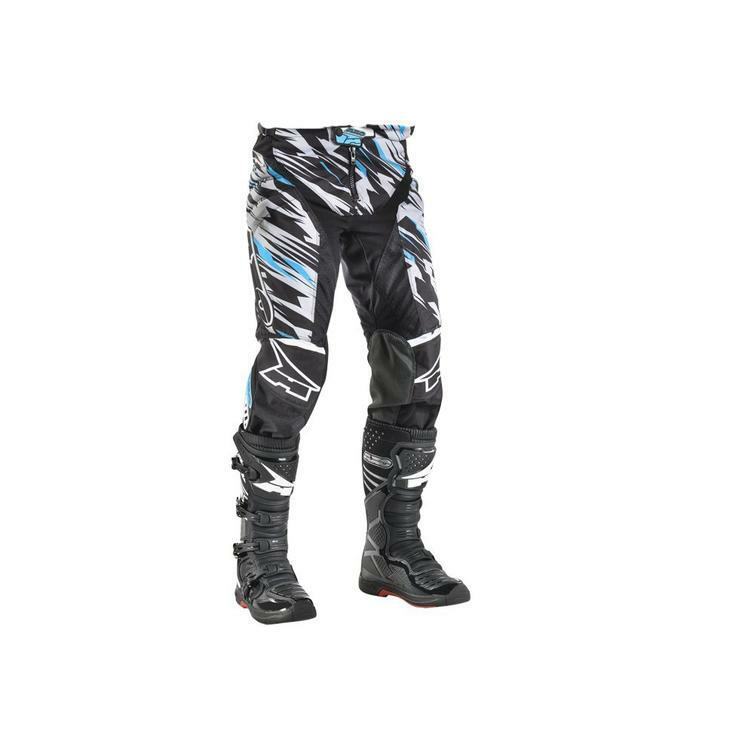 The Axo Grunge Motocross Pants 50 Black Grey (UK 34) is part of the latest Axo collection. High tenacity material. Heat resistant panels inside knees. Silky liner with waist gripper stretch. Waist adjustment straps. Snap reinforced TPR flap. Four ways thigh, crotch and calf stretch. Foam filled thigh logos and sublimated Poly panels. Knee vents. Wide knee rib for a unrestricted knee flex. 3D knee pocket fits all styles of braces and cups.